Are you a graduate student looking for a way to document your teaching development across your graduate school career? 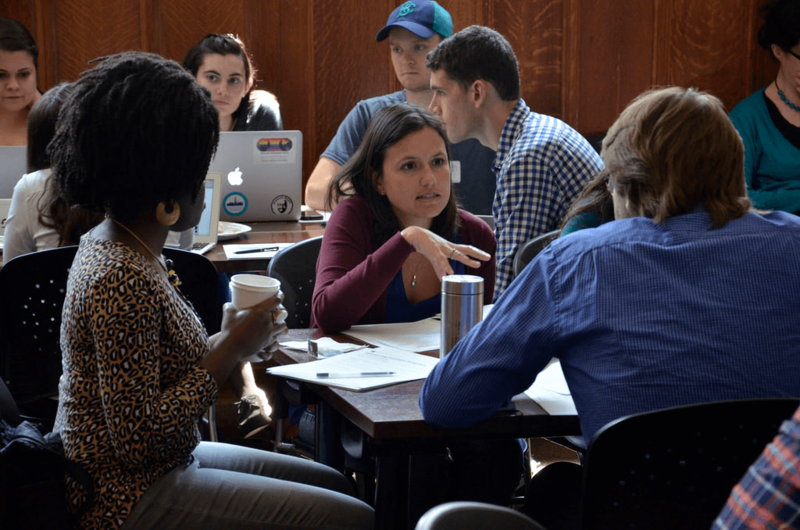 CTL’s new Teaching Development Program (TDP) allows Columbia doctoral students to cultivate, document, and articulate their teaching development across the arc of their graduate school career. Graduate students can participate in the TDP program on either of two tracks: Foundational or Advanced. Completion of a TDP track earns a letter outlining track competencies and certifying completion from the Center for Teaching and Learning. Completion will also be noted on Columbia transcripts for doctoral students in Arts and Sciences and SEAS departments. For more information, please read program details below and browse FAQs about the TDP program. The Teaching Development Program is now open for current Columbia University doctoral students. To register, click the button above and fill out the registration form. CTL will review and send confirmation of registration, with instructions for getting started. The Teaching Development Program’s Foundational Track introduces graduate students to fundamental concepts and practices in student-centered teaching. It helps to deepen the experience of TAships, connecting early instructional experience to proven and sustainable pedagogical practices. Graduate students wishing to develop advanced teaching practices and engage more deeply with a community of peers are invited to continue into the TDP’s Advanced Track. This track puts special emphasis on transferable professional skills that are cultivated through teaching practices and culminates in the development of a digital teaching portfolio.